Author Trevor Eissler was, quite literally, mad about Montessori – in more ways than one. As he explains it, he found out about Montessori programmes, loved the programme and then felt mad that others didn’t understand much about the programme or why it is so wonderful. So Eissler – a professional pilot, not educator – decided to take it upon himself to promote Montessori education to other parents. 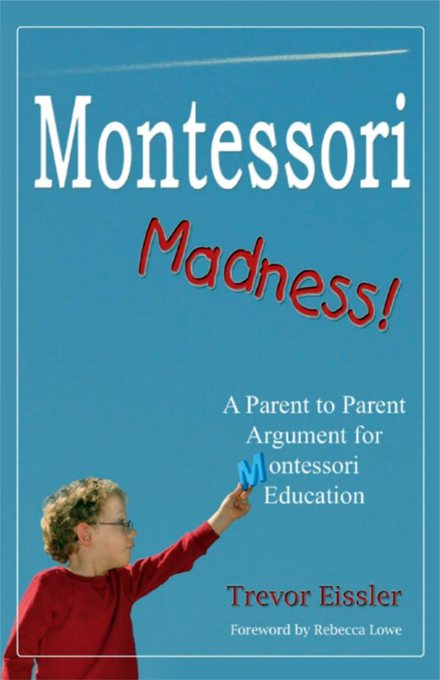 He wrote a book entitled Montessori Madness: A Parent to Parent Guide to Montessori Education, has his own website, is collaborating on related projects and can be found on YouTube explaining his motivation for writing the book. His ideas have also been shared in a wonderful Quick Draw video. (See below.) If you own a Montessori school, you can purchase books directly from the author at a discount. Or you can purchase the book from a BCFamily.ca Associate site – Amazon.com. If you are looking for a book about Montessori that is written from a parent’s perspective – complete with discussions about the typical concerns parents have and complexities parents encounter in the education world – this is the book for you. The discussions Eissler brings forth, as illustrated in the Quick Draw video, do bring up an interesting point. What do traditional educators such as those trained at UBC, think about the contrasts drawn in Eissler’s book and talks? Do they agree or disagree with his assessment of conventional education – particularly at the elementary and middle school level? Surely they must have something to say on this topic, because Eissler paints a depressing picture about what is going on in a non-Montessori based public school classroom in your local neighbourhood. This book is a must read for parents considering Montessori for their child. Don’t forget to check out Montessori Scout when looking for Montessori schools in your local area. We have the largest unbiased database of Montessori schools. We also have an active community of Montessori professionals and parents.